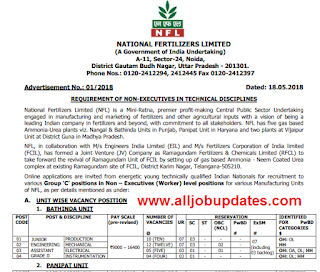 Application Fee: Rs.235 for General/UR candidates payment through Net-Banking/Credit/Debit Card. No fee for SC/ST candidates. 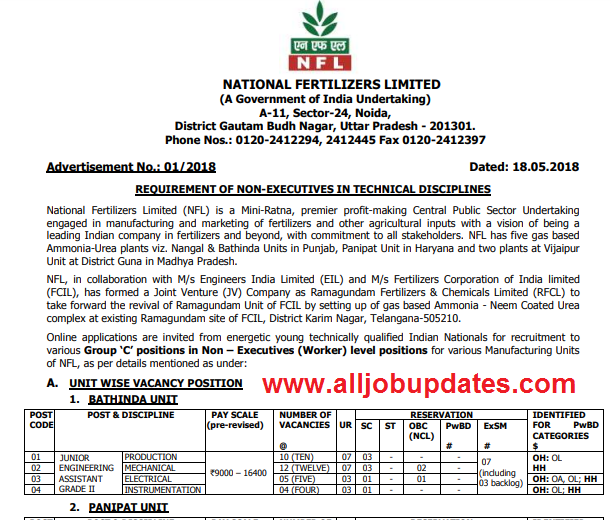 How To Apply: Eligible candidates may apply online through the website -www.nationalfertilizers.com from 19-05-2018 to 17-06-2018.